Company Website Designing India- Help you to get noticed! Company Website Designing India- Help you to get noticed! Marketplace in 2017 demands an effective company website for every businesses. The basic website requirement of each company would differ. But every company should have a website that displays a professional image to visitors. Website should have an accurate representation of the company and should belong to one family when used with other branding efforts to present consistent messages to customers. 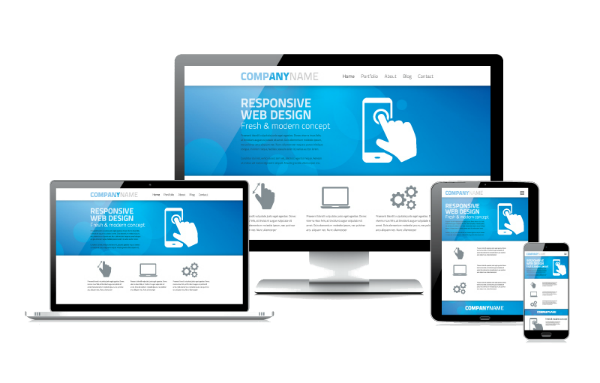 Company websites are not different than Portfolio websites, blogs, and e-commerce websites. But the main purpose we’re focusing on company website is to provide information about the company and its products or services. We create websites that are not only beautiful but will also generate more profits for your business. Web designing india is built on the foundation of creating custom tailored web projects for corporations around the world, ensuring that their business image is professionally represented and generates profit. Regardless of your organization’s size and type; from small to large corporations, from private business to government office, Web designing india International Web Design and Development company is eager to build an effective website for your business custom designed according to your requirements. 500 plus successful premium projects worldwide since 2005 through its international offices in Dubai, Shanghai, Prague, Hong Kong, Singapore and more that are aimed towards generating profit for its clients from their customers and clients alike. Transparent, fair, and unique investment plans that cover the requirements and needs of all business types and sizes across all industries that can help you reach your digital potential. Send us your query and let us return you a detailed proposal outlining the project scope with price and time requirements within 24 hour timeframe. Stay in direct contact with a web designing india team and go through each milestone of your project together that follows international development standards and get 1 year of free technical support.